Hi all, my name is Nadine and I just got my first Mini Ddung, red riding hood, last week! 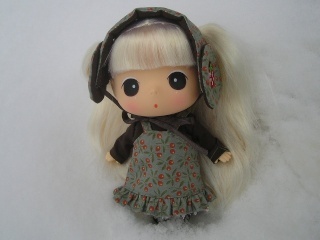 I think some of you may know me, because I am also quite active on some Pullip, BJD, Sylvanian Families forums! I use the same username everywhere! I love to learn more about this cute little doll and I hope my collection will be growing soon! Hello and welcome! I'd love to see activity on this forum pick up again. Please photos of your ddung cutie!